All the Uniting Distant Stars Youth, Instructors, Staff, Board Members, Volunteers, and Co-Founders wish you a delightful and fruitful 2019! Thank you for being part of the Uniting Distant Stars Community of Supporters!!! 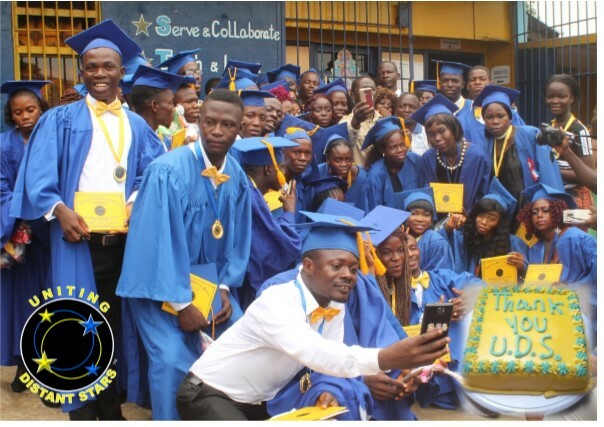 This entry was posted in Africa, education, Liberia, Thank You, Uniting Distant Stars, vocational training, youth development, Youth Empowerment and tagged Africa, Become a Classroom Hero, education, Liberia, NGO, Skills Training, Thank You, trade school, Uniting Distant Stars, Vocational Training, Youth Development, Youth Empowerment. Bookmark the permalink. ← Thank You For Extraordinary 2018!! !